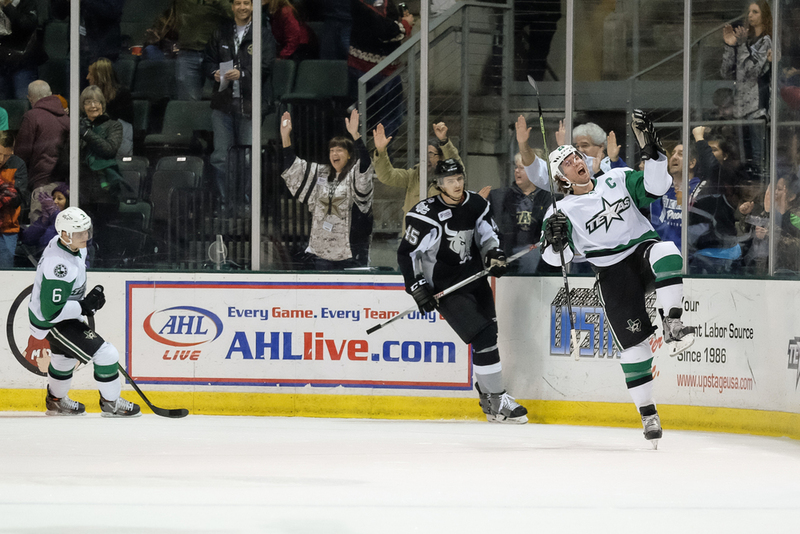 The Texas Stars took on the San Antonio Rampage at the Cedar Park Center to wrap up a 3 game series. 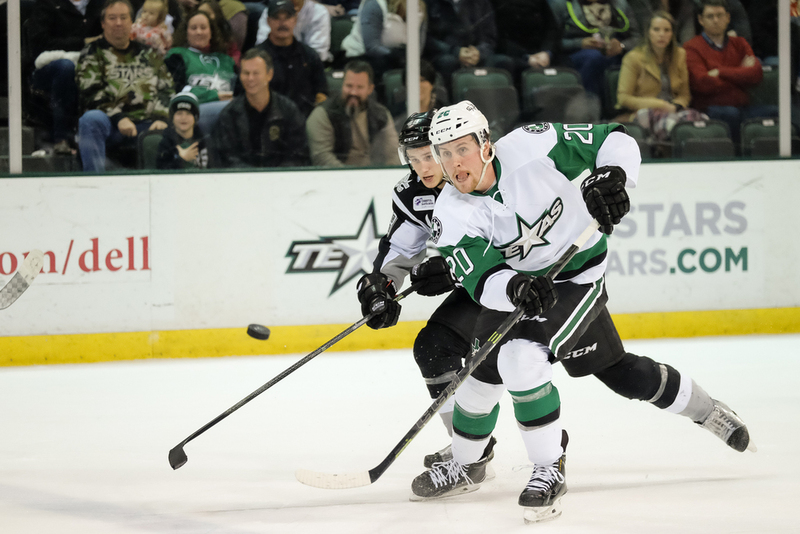 It took an overtime period for the Stars to come away with a 5-4 win. The first shot is Travis Morin celebrating a goal in the first period. The second shot is Brett Ritchie chasing down an airborne puck with an opponent tightly covering him. 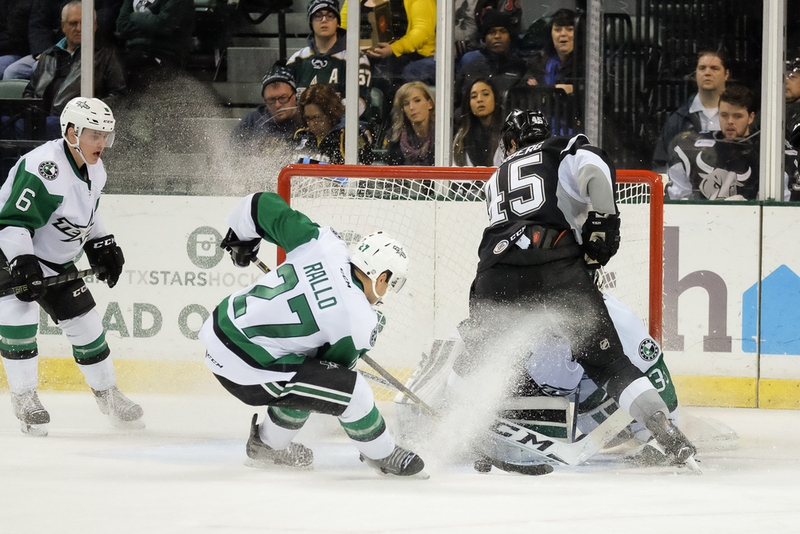 The third shot is Greg Rallo coming in fast on a scoring chance, kicking up a blizzard in front of the Rampage net. Rallo would score the winning goal in overtime.